Traditional dyes of the Scottish Highlands are the native vegetable dyes used in Scottish Gaeldom. The following are the principal dyestuffs with the colours they produce. Several of the tints are very bright, but have now been superseded for convenience of usage by various mineral dyes. 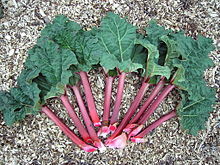 The Latin names are given where known and also the Scottish Gaelic names for various ingredients. Many of the dyes are made from lichens, the useful ones for this purpose being known as crottle. The process employed is to wash the thread thoroughly in urine long kept ("fual"), rinse and wash in pure water, then put into the boiling pot of dye which is kept boiling hot on the fire. The thread is lifted now and again on the end of a stick, and again plunged in until it is all thoroughly dyed. If blue, the thread is then washed in salt water, but any other colour uses fresh water. Amateurs may wish to experiment with some of the suggestions, as urine (human or animal) is used in many recipes as a mordant. A number of the recipes used are for more than one colour, and this chart is only a guide. Claret – "corcur" – the cudbear lichen, Lecanora tartarea, scraped off rocks and steeped in urine for three months, then taken out, made into cakes, and hung in bags to dry. When used these cakes are reduced to powder, and the colour fixed with alum. Common dock root with copperas. 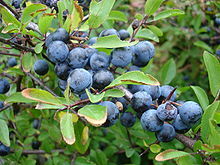 Common sloe – Prunus spinosa – "preas nan àirneag"
Red bearberry – Arbutus uva ursi, "grainnseag"
"Duileasg" (dulse), a kind of seaweed. The dark purple lichen ‘cen cerig cen du' (gun chéire gun dubh – i.e. neither crimson nor black) treated in the same way as the lichen for the claret dye. Heather, Erica cinerea, "fraoch bhadain" with alum. The heather must be pulled before flowering and from a dark, shady place. Dandelion, Taraxacum officinale, "bearnan Brìde"
Ragweed ("Stinking Billy") – Senecio jacobaea, "buaghallan"
Barberry root –Berberis vulgaris, "barbrag"
Bramble –Rubus fruticosus, "preas smeur"
Sundew – Drosera rotundifolia, "lus-na-feàrnaich"
Tormentil – Potentilla tormentilla, "leanartach"
Rock lichen – Ramalina scopulorum, "cnotal"
White "cnotal" – Lecanora pallescens, "cnotal geal"
Rue – Galium verum, "ladies' bedstraw". A very fine red is obtained from this. Strip the bark off the roots, then boil them in water to extract the remainder of the virtue, then take the roots out and put the bark in, and boil that and the yarn together, adding alum to fix the colour. Galium boreale – treated in the same way as gallium virum above. "Cnotal corcur" – Lecanora tartarea, white and ground with urine. This was once in favour for producing a bright crimson dye. Limestone lichen – Urceolaria calcaria, "Cnotal clach-aoil" – used by the peasantry in limestone districts, such as Shetland. Wild cress – Nasturtium officinalis "biolair"
Wild mignonette, Reseda luteola, "lus buidhe mòr", dried, reduced to powder and boiled. ^ Brewster, Sir David (1832). Lichen. The Edinburgh Encyclopaedia. Retrieved 10 May 2014. ^ "Crottle". Dictionary of the Scots Language. Archived from the original on 12 May 2014. Retrieved 10 May 2014. This article incorporates text from "Dwelly's [Scottish] Gaelic Dictionary" (1911). (Dath), with additions and corrections. Also, Scottish Gaelic spelling is subject to variations. This page was last edited on 26 March 2019, at 03:12 (UTC).